Talbot – How did family members respond to the news? Talbot – What personal support was most helpful to you? Talbot – How have your friendships changed? Talbot – What adaptive sports interest you? 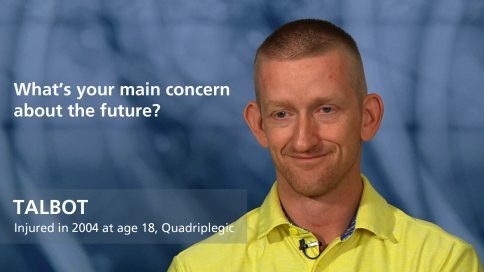 Talbot – What role has adaptive sports played in your life? Talbot – How do you handle anger? Talbot – Do you ever feel guilty? Talbot – Are you happy? Talbot – What was your college experience? Talbot – What kind of work do you do?